The Quality Food Awards recognise and celebrate the best in retail, wholesale and foodservice food products available in the UK. Each category has been specifically tailored to represent the key drivers in today’s ever-changing marketplace. Category definitions have been provided to help you select the right place for your product to be entered. This year we have made the entry process clearer and simpler for you, by combining products into headline categories. You will be asked to choose a subcategory during the entry process which will help determine which category your product will be judged in. We have also included Foodservice and Local Shop in our main entry process, however these will continue to be judged and awarded separate to the main Quality Food and Drink Awards. If you are entering these categories please ensure you fill out the form below to obtain an entry code to receive the reduced entry fee. Remember to select the correct awards when prompted in the entry form. To enter, click on the category below and you will be taken to the online entry form. You can enter multiple categories within one entry form. 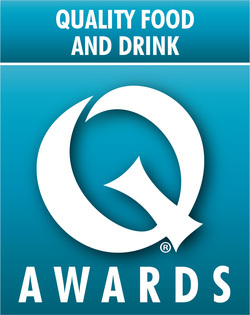 Please note: that if you are entering Local Shop or Foodservice products alongside the main Quality Food and Drinks Awards these will need to be entered as a separate transaction. Entry fee per product: £464 + VAT. Local Shop and Foodservice entry fee per product: £385 + VAT. Click here to request entry fee code for these awards. Small producer entry fee (fewer than 10 staff and annual sales under €1 million): £125 + VAT. Click here to request your Small Producer discount promo code. Products that include everything to make a meal by adding a few simple ingredients - fajita kits, taco kits and burrito kits, pad thai kits, curry kits etc? Food created to be served at a party, either sweet or savoury, and can be ambient, chilled or frozen - mini pizzas, wedges, canapés, mini cakes. Pasta can be fresh or dried, with or without filling; rice and grains e.g. couscous and pearl barley, can be of any variety or flavouring. Any delivery or retail box that contains all the ingredients required to create a recipe or a kit that requires just the addition of main protein ingredient.